The bike which Jaroslav Kulhavy rode to second position at the 2017 Absa Cape Epic will be auctioned to raise funds for songo.info. Photo by Michal Cerveny. songo.info are once again auctioning off a unique bicycle to raise funds for their educational and sporting programmes. 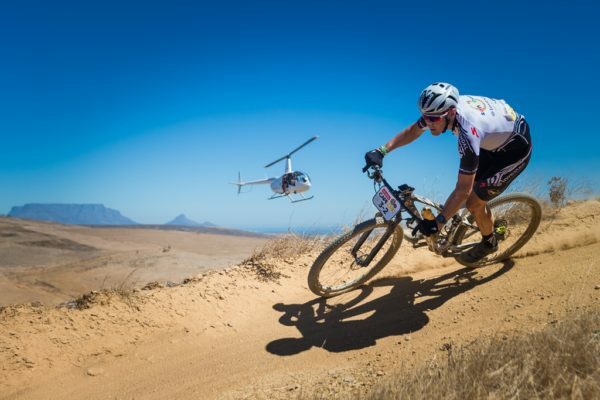 This year the custom 2017 S-Works Epic, which Jaroslav Kulhavy raced to second position in the Absa Cape Epic, will go under the virtual hammer on an online auction which takes place on www.songo.info. The auction opens at mid-day on Wednesday the 6th and closes at mid-day on Friday the 15th of December. Specialized Bicycles, one of the title sponsors of the Kulhavy and his partner, songo.info co-founder, Christoph Sauser’s Absa Cape Epic team – Investec-songo-Specialized – have continued their legacy of support for the songo.info programme by donating Kulhavy’s bicycle to the charity for the auction. The bike itself is one of only two such machines in the world, custom built to Kulhavy’s exacting standards for the world’s toughest mountain bike race. Based on the race proven Epic platform, Kulhavy’s large frame size bicycle is the S-Works World Cup incarnation. Though the S-Works Epic remains arguably the best marathon and stage racing bicycle on the market, with its ultra-efficient pedalling platform aided by the brain suspension technology – front and rear – and the ability to carry two bottles in addition to the integrated SWAT storage system in the main triangle, this particular bike’s party piece is the custom paint job. The paintwork incorporates not only songo.info’s World Champion inspired rainbow livery but also the iconic zebra stripes of Investec Asset Management. The high gloss black sections of the frame feature a rainbow flecking effect, which adds an additional eye catching detail; which one only notices on closer inspection. Providing inspiration for Kulhavy, Sauser and the bicycle’s next owner are the names of some of the children within the songo.info programme. 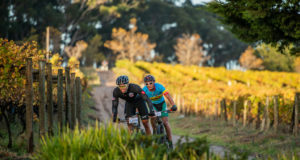 This serves as a reminder that Kulhavy and Sauser were racing for a greater cause at the Absa Cape Epic and that the funds raised through the sale of the bike will go directly to improving the lives of children in one of the Western Cape’s most impoverished communities. As one would expect Kulhavy’s S-Works Epic is completed with only the finest components. Bumps in the trail are soaked up by a custom tuned Fox rear shock, which is incorporated with Specialized’s Mini Brain, and a RockShox SID WC fork with Brain Cartridge. 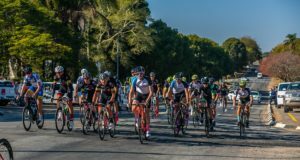 The patented brain technology makes use of an inertia valve to lock the suspension from forces traveling from the rider downwards through the suspension, but keeps it open to absorb forces traveling upwards from the ground into the bicycle. This makes the bicycle as rigid as a hardtail when pedalling but as compliant as a mid-travel bike when descending. Propulsion is taken care of by a SRAM XX1 Eagle drive train, while the stopping power is provided by a set of eye catching yellow Magura MT8 Raceline brakes. The bike rolls on Roval Control SL 29 carbon wheels, shod with Specialized Renegade tyres crafted from the Gripton rubber compound. Kulhavy’s steed is rounded off with an S-Works finishing kit of stem, bar, seatpost and Power saddle, and features the friction free CeramicSpeed bearings in the headset and bottom bracket. The songo.info 2017 Specialized Bicycle auction opens at 12:00 on Wednesday the 6th of December and closes at 12:00 on Friday the 15th of December. All bids are placed online via the songo.info website which can be done by clicking here, or by visiting www.songo.info and clicking on the ‘Events’ tab. A reserve price of R60 000 has been set.